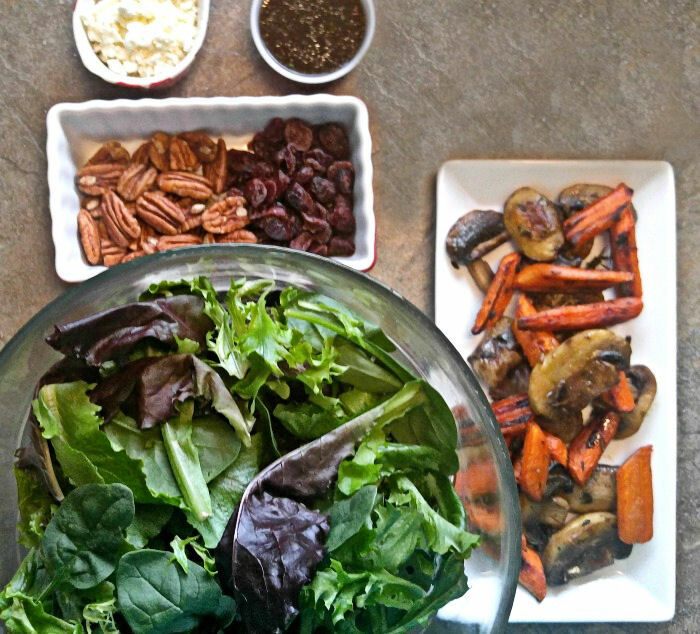 Fall is a great time to serve salads that are made with roasted vegetables. 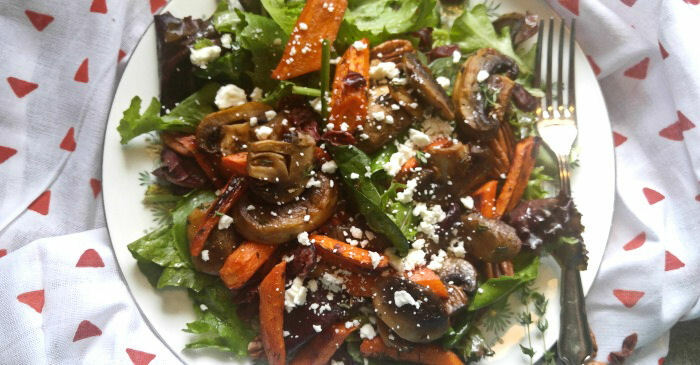 This roasted carrot salad with mushrooms, cranberries and pecans is topped with feta cheese and dressed with a tangy balsamic dressing. Roasting carrots in the oven brings out their natural sweetness and many cook very well together in one pan. I chose carrots and mushrooms as the vegetable part of this salad. They are very easy to do and the rest of the salad can be prepared while the vegetables are roasting. You will find the roasted carrots with mushrooms and thyme recipe here. Since the base of my salad is sweet, I wanted some other flavors to balance this out but still compliment the sweetness. I chose dried cranberries, pecans, feta cheese and an easy to make balsamic dressing. 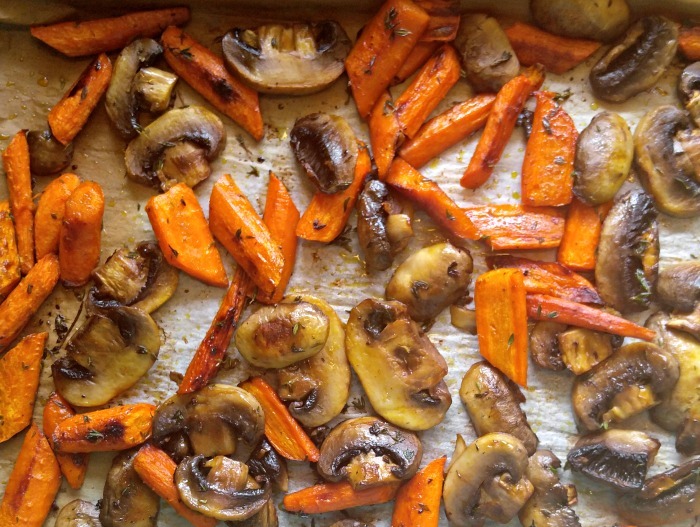 Start by roasting your carrots and mushrooms in the oven with oil, clarified butter and fresh thyme. While the veggies are roasting, place your salad greens in a large bowl and add the dressing. 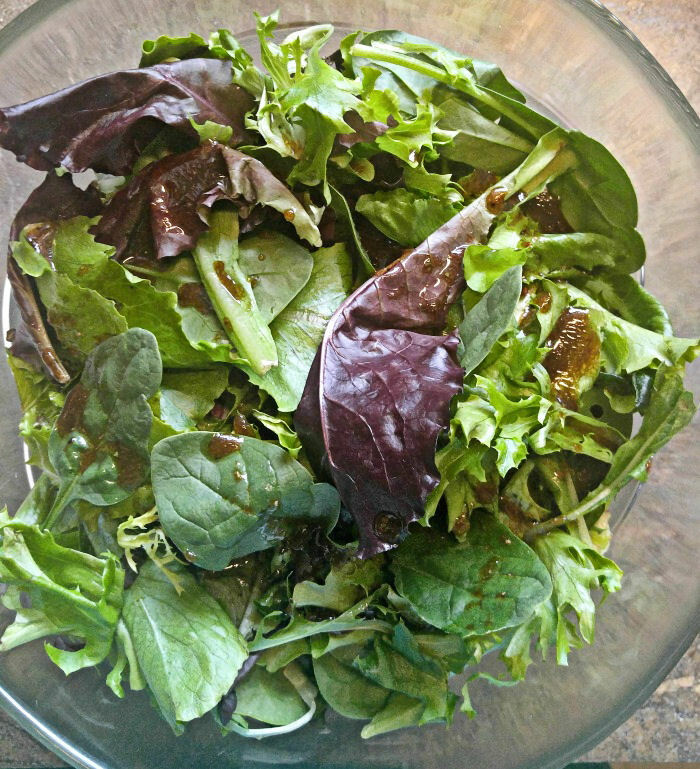 I chose to do a semi homemade dressing using balsamic vinegar, olive oil and Good Seasons Italian salad dressing mix.It is ready in a flash and can be used for other salads later. When the vegetables have finished roasting, add them to the salad and sprinkle over the pecan halves, dried cranberries and feta cheese. A quick drizzle of another teaspoon of the dressing ties all the flavors together. This salad has a home cooked taste that comes from the roast vegetables. The tang of the dressing on the salad greens goes so well with the sweetness of the carrots. I tasted one part of the salad and thought “that’s great” and then I would take another bite and be blown away by a totally different flavor profile. I seriously cannot get over how well all the flavors taste together. My husband just raved about this salad and he’s not one for eating a salad for lunch. I used the whole carrot and mushrooms recipe for this salad between the two of us so it was very hearty. 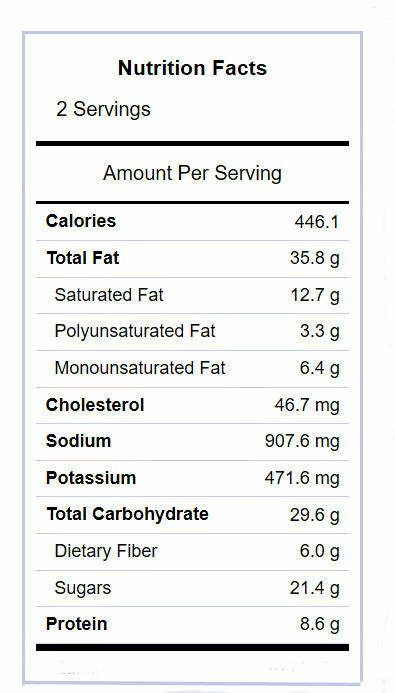 The calories came out to 446 calories for each serving. Make this for your family one time and they’ll be asking for it again and again! If you want to make it even more hearty, add some rotisserie chicken pieces to make it more of a main course salad. 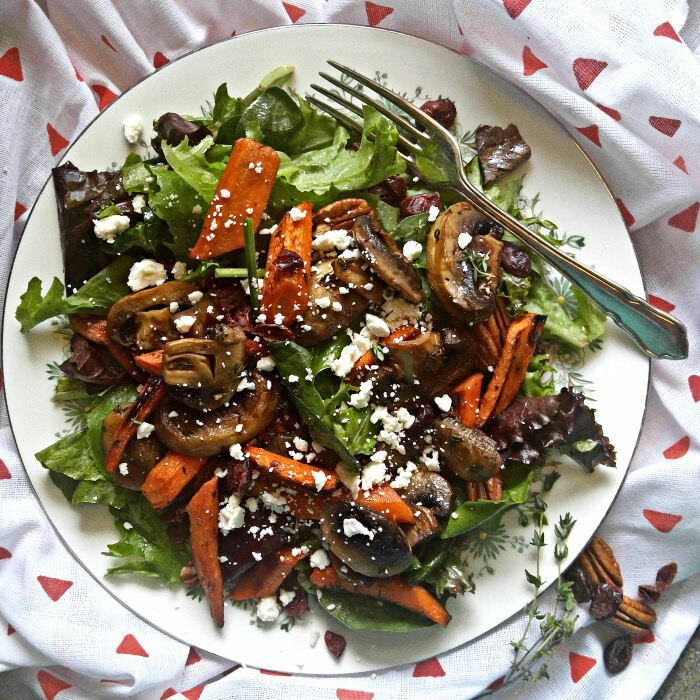 This roasted carrot salad is topped with dried cranberries, feta cheese and pecans. It has a lovely balsamic dressing and is so full of flavor. The carrots and mushrooms are roasted with olive oil, clarified butter and fresh thyme for 1/2 hour. Arrange half of the dried cranberries, pecan halves and feta cheese over each salad. Drizzle each salad with one teaspoon more of the dressing.